At the October general meeting the South San Francisco Women’s Club unanimously approved a donation to the Women In Military Service For America Memorial in Washington DC! 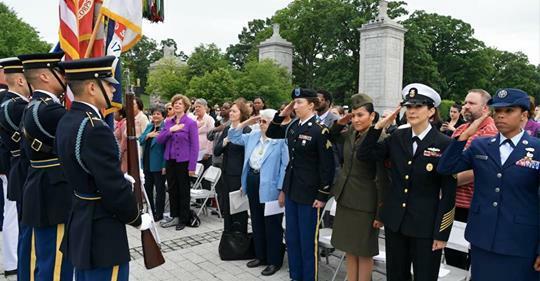 The Memorial stands at the Ceremonial Entrance to Arlington National Cemetery, and is the only major national memorial honoring all women who have defended America throughout history. This donation was made in honor of our past and present Women’s Club members. Thank you for your service and commitment to our country!